The first of the four themed neighborhoods guests will find is inspired by “The Incredibles.” Here, the new Incredicoaster, permanently transformed from the attraction that is now California Screamin’, will open with Pixar Pier in summer 2018. This new experience will feature a mid-century-modern-style loading area, new character moments and a new look for the ride vehicles. To prepare for this transformation, California Screamin’ will close Jan. 8. Ariel’s Grotto restaurant and the Cove Bar will be transformed into a new lounge and grill offering sparkling views of Paradise Bay and the new Pixar Pier. Both locations will close Jan. 8, with Cove Bar reopening briefly in April before closing again for its permanent transformation. Guests wishing to reserve “World of Color” dining packages after Jan. 7 may consider Carthay Circle Restaurant or Wine Country Trattoria. You can read more about what’s coming to Pixar Pier in the November issue of Disney twenty-three magazine, from our friends at D23: The Official Disney Fan Club. Keep an eye on Disney Parks Blog for more as the permanent transformation of Pixar Pier gets underway! Where can I find information regarding the attractions that will be open and available by the middle of June 2018? Planning a trip but will skip DCA if it’s not completely open. Hate to pay the high cost of a ticket for a partial park. I have been a Disney Fan since childhood. My husband and I (Canadians) met there while on vacation with our families in 1977. We later celebrated our own honeymoon there in 1988. We have since taken our 4 children and now 5 grandchildren to Disney. While I appreciate that Walt always kept up with the times, I think he would be a little disgruntled at recent changes to the parks (too much, too fast). Changes to Ariel’s Grotto, Paradise Pier, popular rides and the hotels, feels more and more like we are losing the historical aspects of park, and all things Disney. As Disney buys up Star Wars, Marvel, Pixar, Muppets, etc. I hope Disney doesn’t forget the simple nostalgic touches that made Disney magical, iconic and vastly different from other amusement parks. Disney has always been a beautiful place to escape a world that is all ready moving far too quickly. I hope Disney will maintain the parks integrity and the foundation and values it was built on. We bought our tickets, and then as I was booking Ariel’s Grotto for my son’s #1 reason for wanting to go to Disneyland, it popped off the screen and we were given notice of the closure. We are both so sad that there isn’t another princess dining experience available. Will there be? Also how many more rides will be closed in March because of the Reno’s? 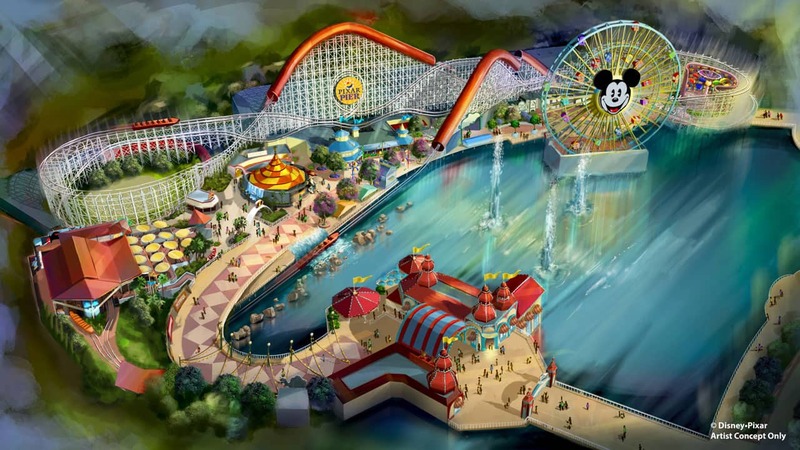 Will Paradise Pier Hotel be re-named to Pixar Pier Hotel? I am so sad to see Paradise Pier being changing into “PIxar Pier”. I always loved going to Paradise Pier and hearing all the happy and cheery music and riding all the iconic rides. I loved Screamin’ and I will be so sad to see it go, just as I was when Tower of Terror changed to Gaurdians of the Galaxy. My husband, 4 year old daughter and myself are headed to Disneyland for the first time ever in September. I’m so sad to see that the only princess dining experience may not be back? Is there any information at all whether Ariel’s grotto will reopen or if there will be a different princess dining experience available in September. I would love to go but I know we need to make reservations so please please let me know as soon as possible. I can’t wait for some of the changes. I am sad however I will not be able to share the magical experience of Ariel’s Grotto with my niece on her very first visit to Disney. I always loved that place! I really hope they bring something similar back, my “adult” heart was even looking forward to it. Will there be any option for a princess dining experience while Ariel’s grotto is closed? It’s a shame that you’re taking away the ONLY princess character experience. Really hope y’all come up with an alternative. WHAT IS HAPPENING TO MY BELOVED CAROUSEL?!?! My favorite ride at DCA for detail level. Have cried spontaneously AT WORK multiple times this week as it has hit me again that you are closing it. Please tell me what is happening to it!! In the disney twenty-three magazine it is stated that King Triton’s carousel will become a Toy Story-themed carousel. We will be visiting from Australia in July or August next year and we were really looking forward to taking our young kids to Ariel’s Grotto for the princess character meal. Will this be back up and running by then, or will the princesses have their own dining experience elsewhere? I live in Australia and haven’t been to DCA & DL in a while. My family were going to organise a trip late March early April, will DCA Paradise Pier be closed at this time? We would prefer to experience Paradise Pier instead of Pixar Pier, what time should we go? Likewise, all in favour redeveloping the parks but disappointed and surprised to learn of these significant closures with such little notice for those who may have made plans to visit in January!! When the Cove Bar is closed will the cocktails only available there be available at any of the other bars? Like Mickey’s Fun Wheel? Quoting part of anther persons question because I too have the same one. We are surprising my daughter for her birthday in February and Last time we were there the Ariel Undersea Adventure was closed for refurbishment, that was just a year ago! Now to be coming back and hearing it’s probably going to be closed down AGAIN is just ridiculous. Plus it’s my boyfriend’s first time visiting Disneyland/Adventure all together so it’s just a bummer all of this construction. I understand updating it but I just don’t understand the short notice after tickets to and from CA as well as park tickets have been purchased. Thanks so much for the update Erin. This all sounds pretty cool. I’m glad that Mickey’s face will remain on the fun wheel, and I’m also glad that all those existing rides as part of “Paradise Park” will remain the same. 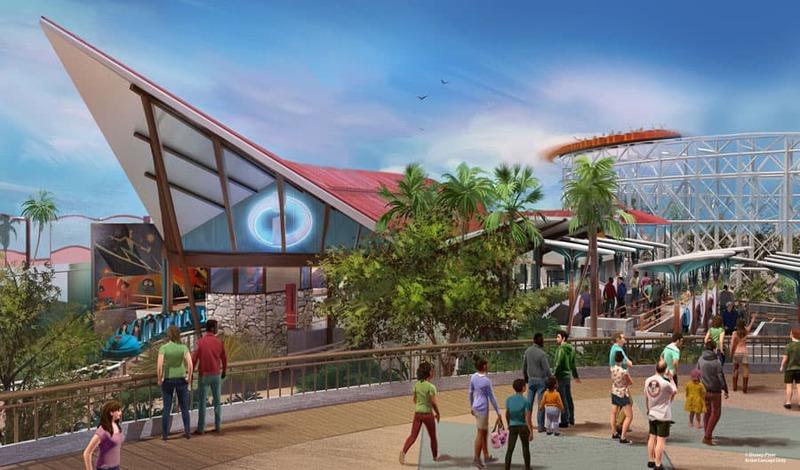 I’m definitely looking forward to the new ride that has yet to be revealed, and the Incredicoaster will give the ride a breath of fresh air. This looks like an exciting transformation. One thing I can count on in my 43 year love affair with the parks is Disney and Imagineering bringing new experiences and expansions. Thank you for bringing us new toys. I honestly don’t know what all the continued hand-wringing is about with every new announcement. I liked Egg House, but I don’t think that the present has somehow devalued Walt because the restaurant has been gone for decades. Yeah – that’s where I first met Mickey, but I’ll get over it. Bring on the next new thing! Glad to see some attention to Ariel’s Grotto which was always a dead zone for me. I’m glad I got to see visit Disneyland from 2004-2015, before it’s turned entirely into PixarLand. 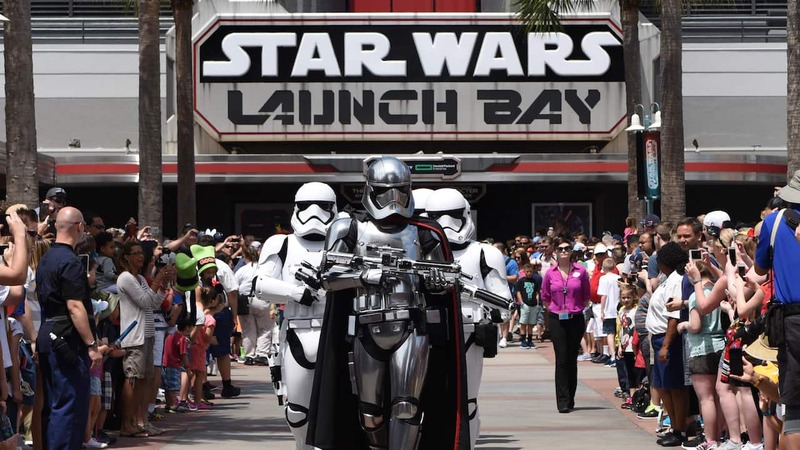 And Walt Disney World is transforming into Star Wars/Marvel/Pixar/Avatar/ World. I’m not entirely opposed to new ideas but when you transform much of the core “Disney”ideas, rides, attractions and concepts- all the magic is lost. My goodness, so many changes! 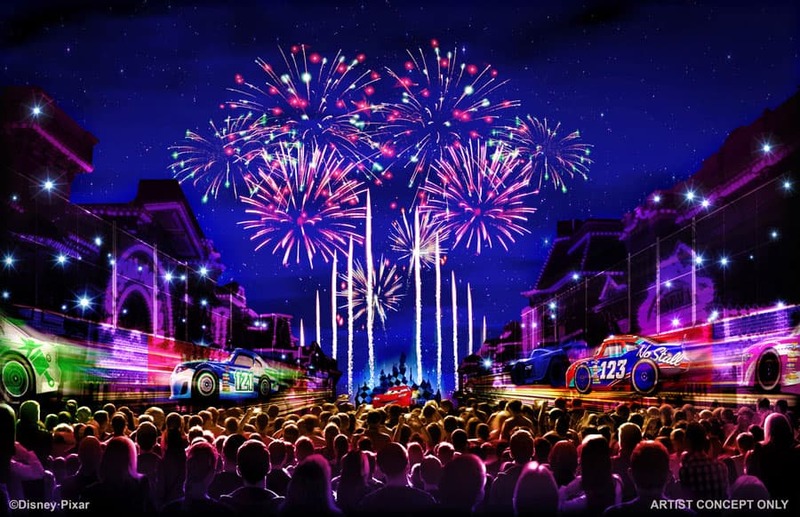 How long will Pixar Fest go for? We have decided to come do a quick trip over for it.. I agree with the other people who commented about their disappointment in Ariel’s Grotto being closed and echo their saddened sentiments. We LOVE that restaurant and princess character dining experience so much and have had many memorable times there over the years. The Little Mermaid theming and details inside the restaurant is so thorough and wonderfully detailed. With so few character dining options in Disneyland Resort as a whole (as opposed to the many in Walt Disney World), Ariel’s Grotto was a treasured experience to get to visit with so many princesses (especially Ariel!) at one time, without waiting on several lines, and at the same time enjoying a great meal. Plus Ariel’s Grotto thematically went perfectly with the nearby Little Mermaid: Ariel’s Undersea Adventure ride. I hope that Ariel’s Grotto restaurant can be moved to a new location or, at the very least, a princess character dining experience is added somewhere in Disneyland Resort. Thanks for this update Erin, and all the details on what looks like a big update to DCA. I like that The Incredibles are making it into a park, they’ve long been one of my very favorites from Pixar. And although I can see Disney’s need/desire to move quickly with changes and updates (it frankly has taken too long for some updates in past years, like Avatar, Cars Land, New Fantasyland, especially compared to competitors out there), I have to agree with some posters (most keenly expressed by Amanda, sorry to hear Amanda!) that the suddenness of closing attractions is something The Mouse should look more closely at. At least half a year, perhaps a year out, I would imagine would be a fair amount of time to announce the closing of an attraction before the actual closing. Here, early January is just two months away, and with most people I would imagine having to plan trips at least a year in advance, it puts a crunch on things. Anyways, all the best to the Imagineers in this big endeavor, it looks to be, well, Incredible! It looks in the art like King Triton’s Carousel becomes…. another gift shop. Relocating the Carousel over to the other side by Ariel’s Adventure? Please? It’s a great Carousel it would be sad to lose it. Was planning a trip for mid January…now I’m not so sure. California Screamin’ is the second best coaster in the whole resort (after Space Mountain)…and is usually the only reason I go to California Adventure. Guess if I still come I won’t need a Park Hopper. It’s all going to feel so different by the time we’ll get to go again, I excited to see how it will all turn out, kids already asked me about King Triton’s Carousel… hmmm. Hope that the Paradise Pier Hotel gets some sweet Pixar updates too it is currently the only Disneyland Hotel we can afford to splurge for and we love it the way it is but it just not the right theme for a Pixar themed Pier. So much in the go at Disneyland and DCA…. more excited than nervous about the changes. I agree with some of the comments above–this is too many changes, too fast. I’m still mourning the Tower of Terror and the disaster that’s been made of Space Mountain, and there’s messy construction still visible in the far corner of Disney where old favorites have been torn down. Now this? It’s like taking the family on a vacation to a construction zone. Plus, kids look forward to their favorite rides (and so do their parents! ), but the rides keep disappearing or changing entirely as the newest trend comes and goes. No fun. No thanks. So many changes for Disneyland, California Adventure, Downtown Disney and the Hotels… too much, too fast?!? Many of us long time Disney fans need to catch our breath! I appreciate change, growth, updates and upgrades, but I don’t want a different park completely. Pixar and the many new characters in the Disney Universe (Marvel, Star Wars) is becoming a bit overwhelming for our “original” Walt Disney inspired Disneyland! It would be nice to keep some of the historic aspects and update/upgrade those concepts. The Magic that is felt from the footsteps and hand of Walt himself is disappearing. Don’t let that happen! PS I also appreciated some of the more young adult/adult concepts CA originally had! Will a new princess dining location be announced since Ariel’s Grotto is currently the only princess dining option in all of Disneyland? – Will Disney’s Paradise Pier Hotel get a new name/theme/look as the “Paradise Pier” name will no longer be in use? – The original concept art shown at D23 Expo called it the Pixar Fun Wheel, yet this article indicates it will still be called Mickey’s Fun Wheel despite having a Pixar theme? To me, keeping Mickey’s face on the Bay side of the Fun Wheel despite the likes by Guests, doesn’t keep with the theme of Pixar. Wow. These are big changes! It’s not clear to me if Ariel’s Undersea Adventure, Goofy’s fly school, Silly Symphony Swings, Paradise Park, etc. will also be closed during the update? or are these areas going to be simply renamed and remain open? It also seems to me there will be a big loss of public space and seating areas if the whole area is closing. Are the pathways and seating areas next to Paradise Bay going to remain open during the updates? Okay, so as someone who only gets to visit once every decade or so, this truly upsets me. We planned our trip for late Jan. The ride I LOVED and looked forward to the most was California Screamin’. This…makes me want to cancel our trip. This is very bad news in many ways… Could you please list all the rides that will be closed starting from January 8th? After looking at initial concept art from D23, I was horrified that it looked as though the iconic Mickey face on the Fun Wheel might be scrapped in favor of a total re-theming. Now that I see it’s not going anywhere, I’m THRILLED and so excited about the upcoming changes. Thanks for listening to the concerned murmurings of the fans (if the fate of the face was ever in question) and keeping it’s fantastic presence in the park. Have at it, Imagineers! We can’t wait! Thank you for keeping Mickey on the Fun Wheel!!! I was really worried about that ever since I first heard about the Pixar transformation. I would have been heart broken if Mickey was removed or especially if he was replaced. After all, it all started with a mouse. How long will Pixar Fest last? This is so heartbreaking. We’ve been planning our trip in May for three years and all my little girls wanted to do was go to Ariel’s Grotto! If I would have known, I would have purchased park hopper tickets instead of regular admission. I can’t believe they are announcing this so late! Any idea if there will be princess dining elsewhere in the parks? To whoever made the call, thanks for leaving Mickey intact on the north side of the Fun Wheel. I think we were all a little nervous about how that one was going to pan out. What will happen with King Triton’s Carousel. Will that remain the same, or since it is between the coaster and Toy Story, will it be re-themed to The Incredibles or Toy Story? Not looking forward to losing Ariel’s Grotto, my personally favorite restaurant in DCA both for menu and which characters are around. With this restaurant getting rethemed will their be a new Princess dining opened elsewhere on property (Maybe in Fantasyland)?